On the Apps 2.1 Store, choose My Apps. Click the Set System Update button. Choose the parameters you want. Click the Use this configuration button. The Robot linked to your account will update its System accordingly. For further details, see: Downloading a system image. If you do not check the NAO Web page, then a notification informs you and suggests you should reboot your NAO. 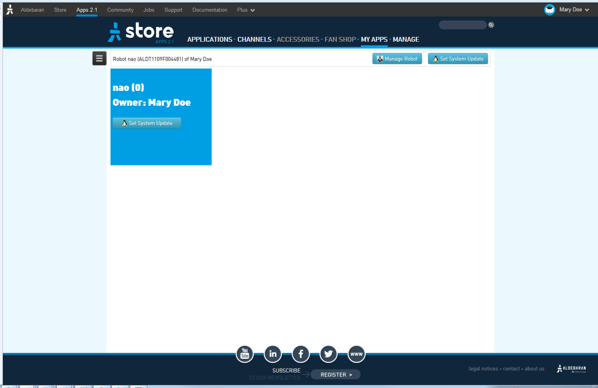 For further details, see: Apps 2.1 Store - notifications.